Ian Bland and Philip Waddell. I have a few favourites from the collection that I have read to Katy and Fred and we have all agreed we love My Mum’s Love, Noisy Start and Bedtime Mysteries the most. There are also some great counting poems and a lovely one about brushing our teeth that we think would be lots of fun to make up actions for. The illustrations are lovely too! 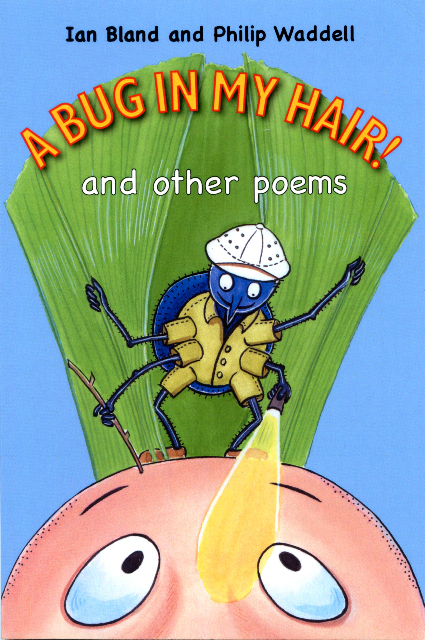 A Bug in My Hair is an absolute must for the 5 to 7 classroom. The book can be bought from Ian on school visits – he’s a very experienced and brilliant performer! Or via email from Philip who will pop it in the post for you! If ordered from Philip they will be the same price but will include second class postage to UK mainland. An interview and poem study with Philip Waddell appear in the March edition of TLC 5-7 teacher magazine. Ian and Philip are currently working on a collection for Key Stage Two children.